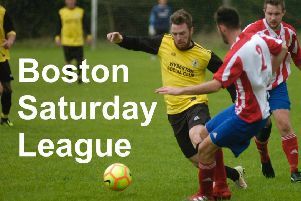 Robert Raducan’s eighth-minute winner proved the difference as Boston Town left ON Chenecks with three vital points. The hosts had won their previous three contests, scoring 10 times and not conceding. But it was Gary Edgley’s side who stretched their unbeaten run to four games courtesy of the early winner. Town - who were without Liam Tunstall, Luke Hollingworth, Mido Turki and Marcel Chipamaunga - remain 17th in the UCL Premier, but are now seven points clar of second-bottom Kirby Muxloe.